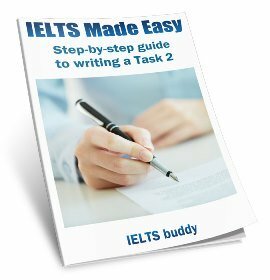 What should I do if I can't answer a question in the IELTS speaking test? What should I say if the examiner asks me questions I have no experience of in the IELTS Speaking Test? I have a question about IELTS speaking test. Just wondering what I should say if the examiner asking about some questions that I have no experience. Which I may not familiar. Can I tell about something that is my imagine? Or just say "sorry I don't have this experience". Appreciate your help on this. Comments for What should I say if the examiner asks me questions I have no experience of in the IELTS Speaking Test? No, definitely don't do that! It is a speaking test so the examiner needs to hear you speaking. It will not look good if you don't make the effort to answer every question. The questions will always be something you have some experience of. Yes, use your imagination if you have to, but always answer all of the questions. All the speaking test questions are of a social context, in other words, nobody is going to ask you questions of a technical nature. Relax, the best thing would be enrol at a reputable institute, even if it's only for a couple of weeks, and do a few mock test to see where you stand. Hi, if you don't have the answer to a question, don't be silent - think just in one second and answer quickly, whatever's in your mind. The examiner just sees your speaking. I have experienced in my first attempt. Be confident. If I could not answer one question in the IELTS Speaking Test, will it harm my score? I Just finished my speaking test (25.9.2015).. In section 1, examiner's first question was quite tricky (after all the introduction questions).. however I still answered the question..
after about three times she repeated the question, I gave up and asked her if we can moved to the next questions.. the next questions even in section 2, 3 I did not had any big problem to answer the questions and i think I did well after the 1st "nightmare" question.. I really need to achieve at least band 6 in speaking.. could the "next question" issue will harm my score?? Comments for If I could not answer one question in the IELTS Speaking Test, will it harm my score? You have to remember that you are graded in your performance over the whole speaking test. There is no band limit or maximum for any of the criteria if you have a problem with one question. If you made that error but did very well in the rest of the test, it may not matter. If you did not do well in a lot of the test your score will be lower. So you really can't judge it on that one thing. For anyone to give you advice on your score, they would have to hear the whole test to see how you did. But we can't do that so you will have to wait for your result to see. I give ielts thrice but got 5.5 in every test. is it permissible to say 'lader' for later, baddle for battle, lod for lot etc. I mean american 'd' in place of 't' as americans in ielts? Again in speaking my fluency is moderate but i don't laugh at any time, does that matter? In connection of speaking i don't move hands so much, does that affect the score? Please suggest me. I am in utter disappointment right now. what are the criterion of judging the speaking? Firstly they are judging you on your speaking, so it doesn't matter about your hand movements. It won't matter if you didn't look happy or didn't laugh - again, it is your speaking that is important (though of course it won't do any harm if you can look happy and relaxed so you can build rapport with the examiner). As for using 'd' - your speaking is best if it sounds natural. If you are using 'd' because you have a good American accent that will not necessarily matter. If you are speaking in a way that affects the examiners ability to understand you, that will lower your score for pronunciation. Really it is difficult to advise you though on your pronunciation without hearing it. There is a public version of the band descriptors that is available at any test centre and you can also find it online if you do a search on "IELTS Speaking Public Band Descriptors". This will tell you how you are graded. If I missed to answer part 3 final question? I also met with that same incident just today (2016/10/06), But in part 3 final question. I couldn't give an answer. But I was satisfied about the rest. How will it affect to my results? How was your result? 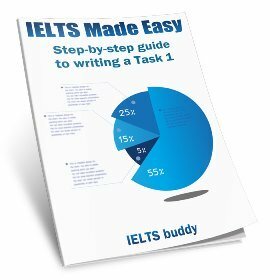 What if I have no experience of an IELTS part 1 speaking question? When the examiner asks questions that demand response (What is your job? Or which city have you visited?) are we allowed to change it? I mean, I do not like cheating. I have never visited any foreign city. But I must extend the answer. Then what can you advise? Comments for What if I have no experience of an IELTS part 1 speaking question? You won't be asked a question that you can't answer. They would not ask you about visiting a foreign city because as you say, many people may have never been abroad. The questions will be about things everyone has experience of, such as what kind of music you listen to, visiting museums. And even if you have never visited a museum (which is unlikely) the follow up questions are usually more general. For example, should people have to pay to visit museums? You can't ask the examiner to change the questions. Of course the examiner will not know if you are lying but you should not need to do that. You should always have some experience of the question, but you should always give some kind of answer, don't say nothing or "I have no experience of that". So yes, if you have to, mention your friend. I'm not sure what you mean about changing the tense of the question. But as I said, you should give some kind of answer, so changing the time frame is better than saying nothing. like: Describe the city where you have been recently. I have never been abroad. But I would like to... I would go... do... etc. Now I understand that we are allowed to make sentences appropriate for us. Thank you for help! All I can say to your question is really what I said before. You should try to answer it as it is asked, but yes, if for any reason you can't, change it as in your example, and of course if you do that make sure the tense fits. I missed out a question on the speaking test - can I get a band 7? I had my Ielts speaking test last 23rd of september. I missed out one question for the second task, can I see get a band score of 7? Comments for I missed out a question on the speaking test - can I get a band 7? I'm not sure what you mean by missing a question in the second task. The second part of the test is where you are given a topic to talk about for 2 minutes so you can't really miss it out. Or do you mean you did not talk about one of the three points on the card? Anyway, missing one question or not discussing a point on a card would not automatically put you below a 7. You are marked on many things during the speaking test. So yes, you could still get a 7 but you will have to wait to get your score. What happens if I did not answer the last part of the question? Hi, i took my ielts speaking yesterday. I am freaking out because i haven't answered the last part of the question. I need a band score of 5... will it be taken against me.. i am so nervous. I also did not look at the interviewers eyes.. oh god can i have 5 for that sense? Comments for What happens if I did not answer the last part of the question? The last part of which question?? You mean the questions at the end? It is really not possible to feedback on a person's speaking without actually having been there to see how that person did. Also, you are judged over the whole test - you do not suddenly drop bands because you may have not answered one question well. So yes it is still possible to have a band 5 but you really need to wait for your score. Nobody can predict it. Will my score be affected? Hi there, I did my speaking test this evening and I just have a few questions to ask. Well, first of all, in general for my speaking test I think I did okay. However, in part 2 speaking I found myself less fluent and lack of ideas to express the examiner. 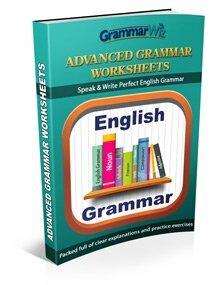 For part 1 and 3 were alright, although there were some hesitation and not many academic words include I managed to go smoothly and be careful of the tenses that I used. Plus, I there were repetition words and also I corrected myself a few times. But as I said before I kinda lacked in ideas but tried to expand my answer though. Will it affect my score? And I just only want to get 6 or 6.5 in speaking. Well, I'm a bit worried whether I could get the scores that I want. Comments for Will my score be affected? As I've said on here many times, it's really not possible to have any idea of what score someone may get without hearing the test. If there were problems with fluency, hesitation and repeating yourself sometimes, it may affect your score, but it is impossible to know for sure or to what extent if it did. What should I say if asked to speak about my family in the IELTS Speaking test Part 1? 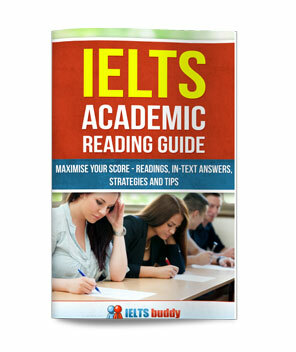 I am preparing for my IELTS exam by the help of your website. But I am in dilemma about speaking. As I am a married woman, what should I tell about my family in speaking? If an examiner asks question about the family in part 1, should I talk about my husband's family or my father's family? I am clueless. I would be grateful if you could give your opinion on it. Comments for What should I say if asked to speak about my family in the IELTS Speaking test Part 1? The simple answer is that it really does not matter. The question is about family, so if you are talking about your family in some form or another you are answering the question (if you spoke about 'hobbies' for example obviously that would be a problem). The examiner is interested in hearing you speak, so you should do your best to answer the question and extend your response rather than just giving very short answers - that is what is important. Make it simple, just talk about yourself as married person,you can even mention that you are planning to have a baby soon, then probably you add something about family -only if you have enough time to mention all of these things.I mean if you are talking so slowly don't bother.Because your answer should be atleast 15 seconds in duration. "Is there any special(particular) place in your country where people mostly wear hats". I know that I need to talk about that topic but there is nowhere in my country not even in the world, as far as i know. examiner said no, and also interrupted when i tried to say some thing about those. Now the question is, should we talk about the topic even it is not real. in other words are we expected to talk about the topic in any means even by creating a virtual place like in my subject? You haven't said which part of the test you are referring to, part 1, 2 or 3. It's important to know which as this affects the way you need to answer it. it does not look like a part 2 topic so I assume it is from 1 or 3. I assume you are talking about part 3 which is the discussion. If so, then if there is nowhere they wear hats then you just have to say that, but if you want to expand your answer you can still discuss the situations in your country where people do wear hats (there must be some people who sometimes wear hats). I'm surprised the examiner said you cannot talk about berets or caps as I would have thought the best response would be to say "Nobody wears hats, however people wear caps and berets..." and go on to then explain who wears them. I think if you had done that rather than asking the examiner first it would be fine. You need to be more confident to say what you think is the most suitable answer. But as I said, it is important to know which part of the test you are referring to. I am sure you are talking about the speaking part 2 of the text, I don't think there is any penalty for saying that you don't know any part of the country that wears hats, because if you say yes you might not have enough answer for subsequent questons that might follow it. There is part of Nigeria (south -south) in Africa that wears hat but because you don't know the examiner will ask you a different question. So don't panic, good luck. You can't get asked a different question in part 2 of the speaking test if you say you don't know anything about it. You have to speak about the first topic you are given. It's impossible to tell you how you did without hearing your test. And I have no idea what 'DESCRIBE A TIME PLEASURED HAD MOBILE PHONE' means. That makes no sense. In my speaking section I felt difficulty in understanding a particular question, so I requested the examiner to explain it. But instead of explaining he changed the question, does it reduce my mark?. No, he probably just wanted to move the test on for some reason.